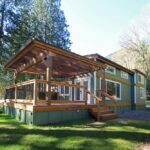 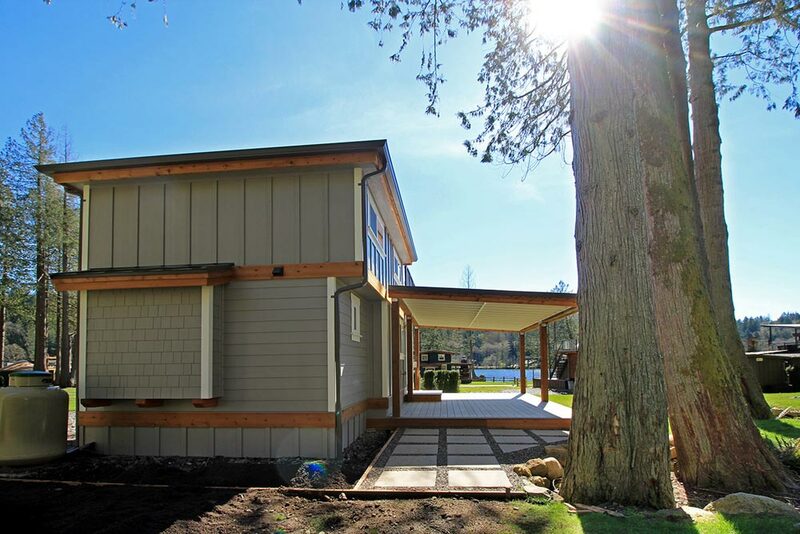 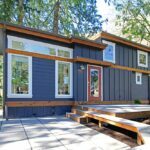 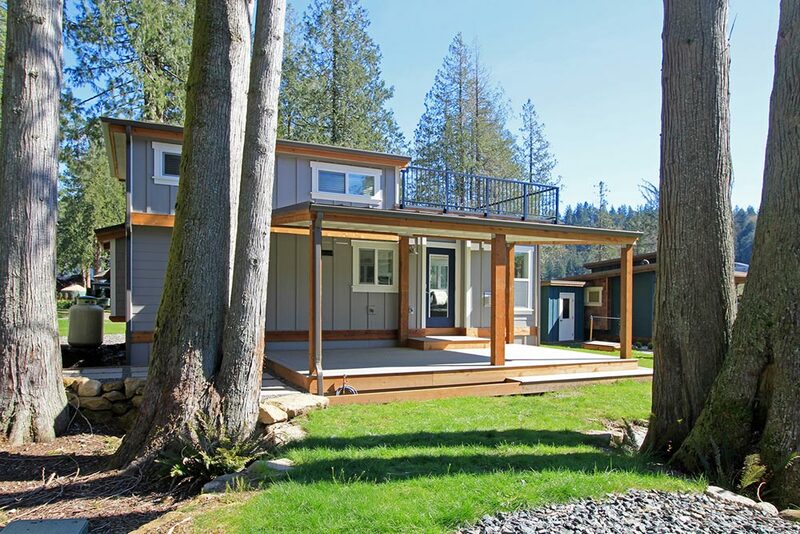 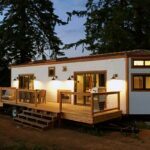 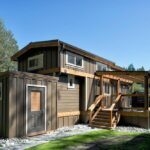 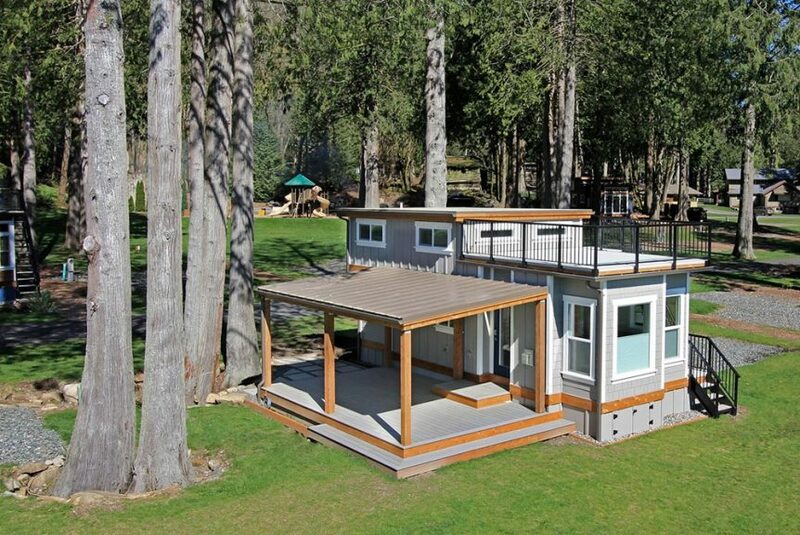 The Bellevue is one of the four West Coast Homes park model tiny houses available at Wildwood Lakefront Cottages, located along Lake Whatcom in Washington state. 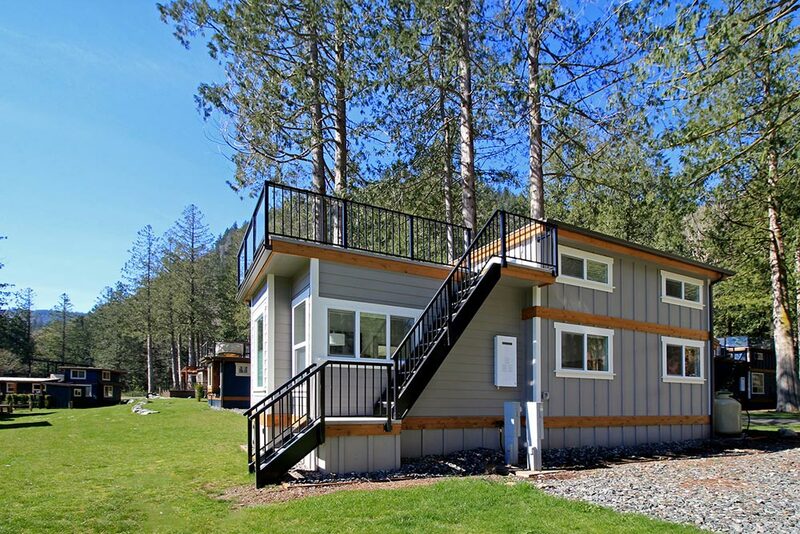 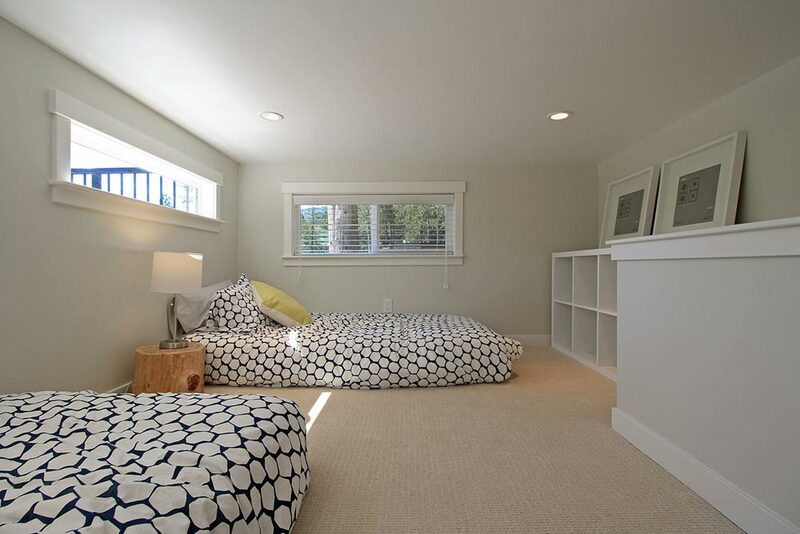 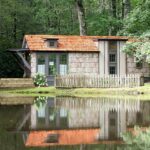 This tiny vacation home is an updated version of the San Juan, providing a more open floor plan with large windows and high ceilings, plus a flat roof with a rooftop deck! 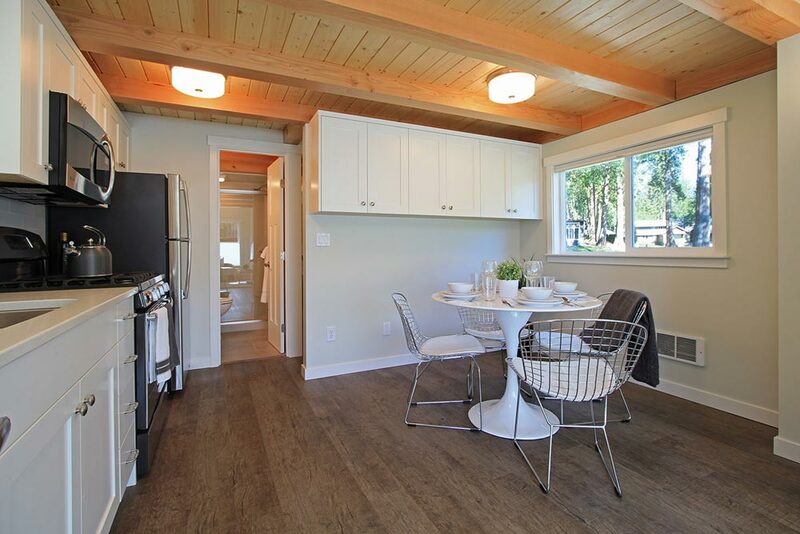 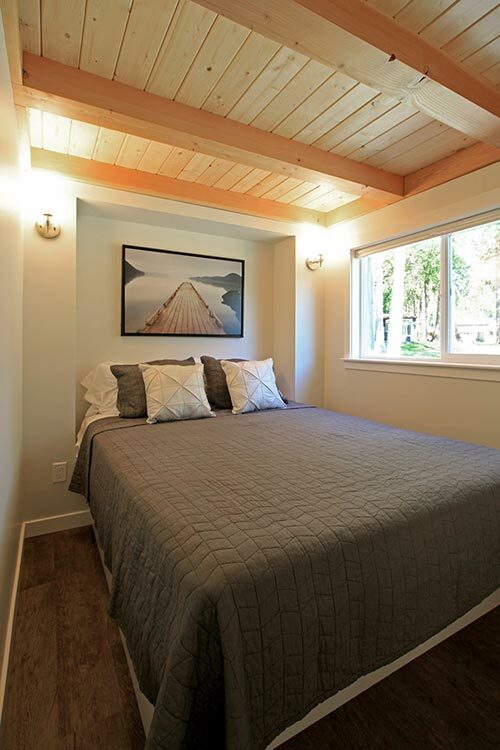 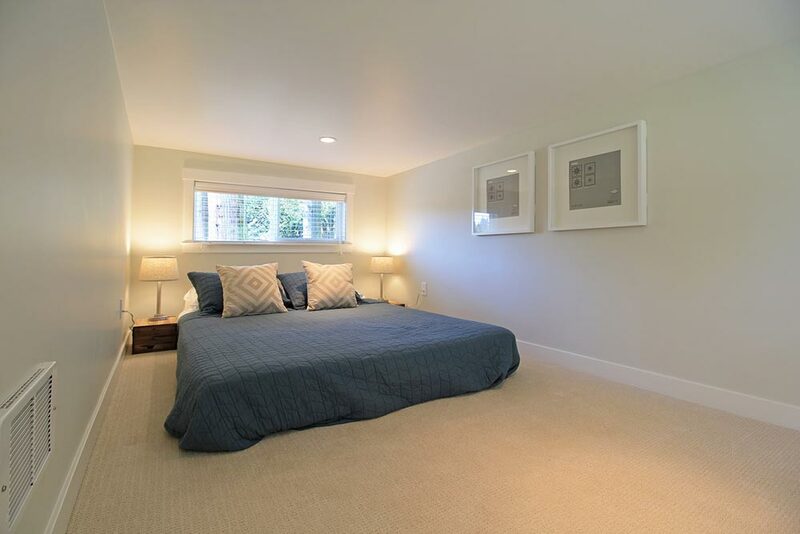 As with the San Juan, the Bellevue is 400-square-feet with a main floor queen size bedroom, plus there is an optional loft that provides up to 250 extra square feet. 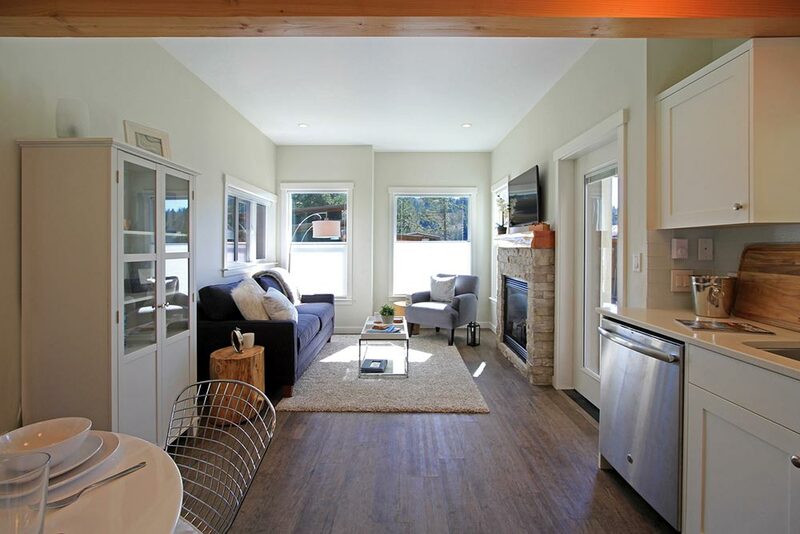 Inside the Bellevue is a spacious living area with fireplace and full height windows. 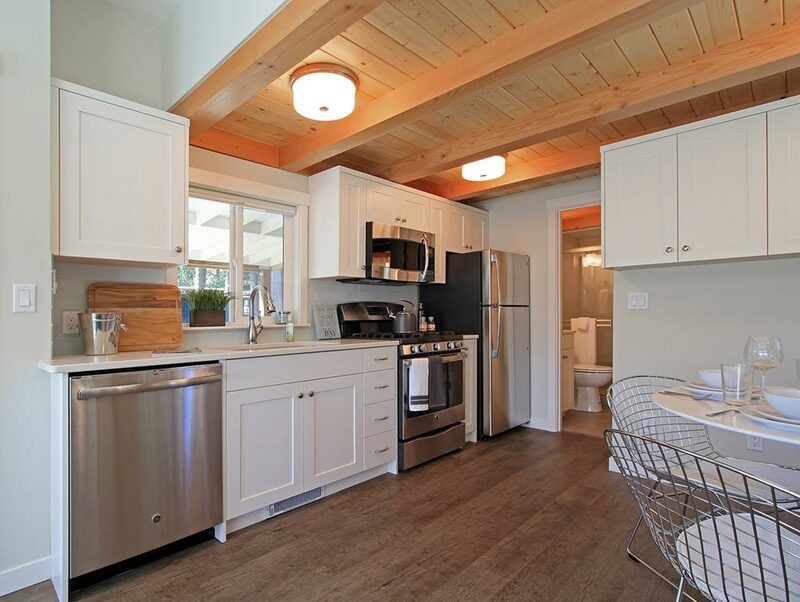 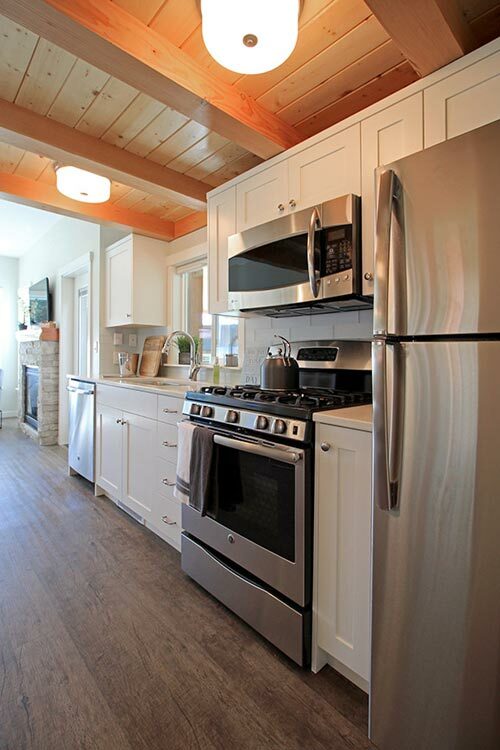 The one-wall kitchen includes a full size dishwasher, freestanding range, and an apartment size refrigerator. 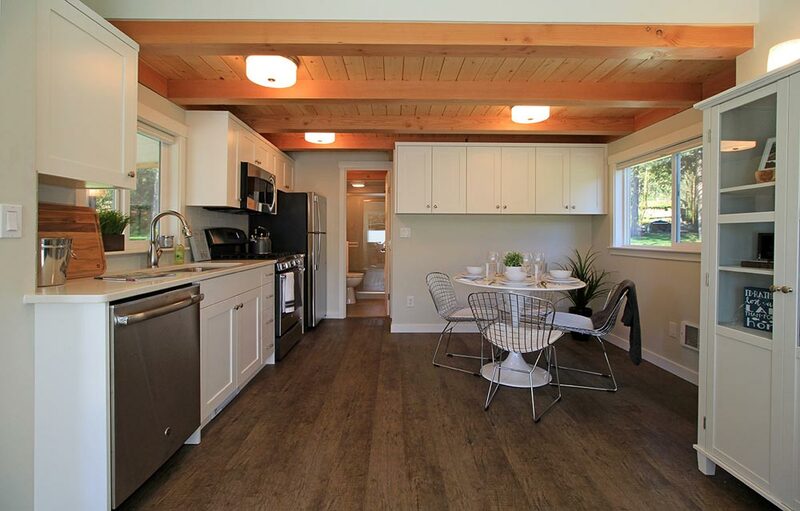 Also on the main floor is a dining area and a full bathroom with a solid surface counter. 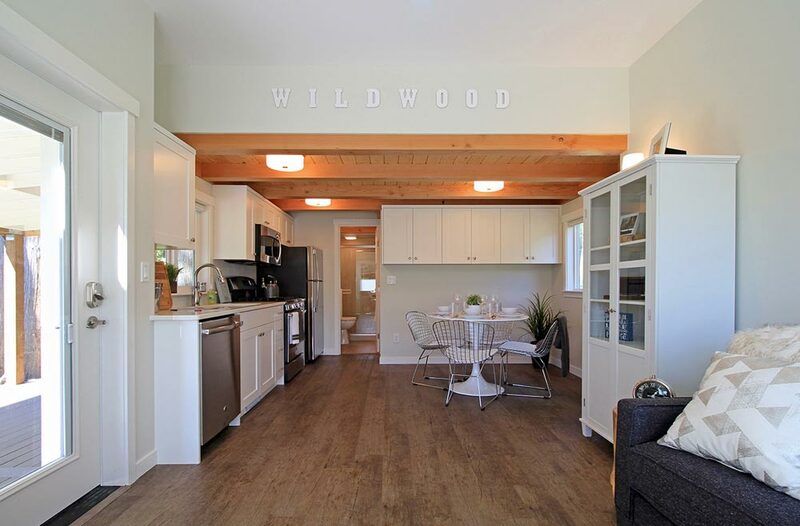 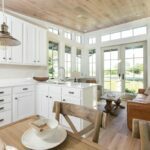 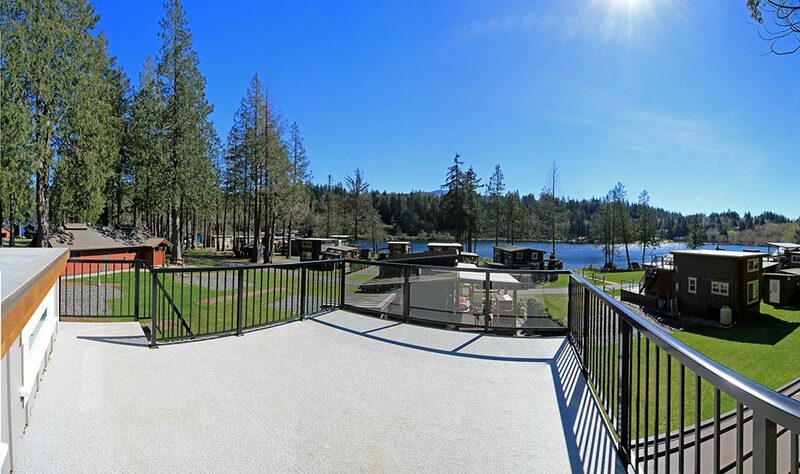 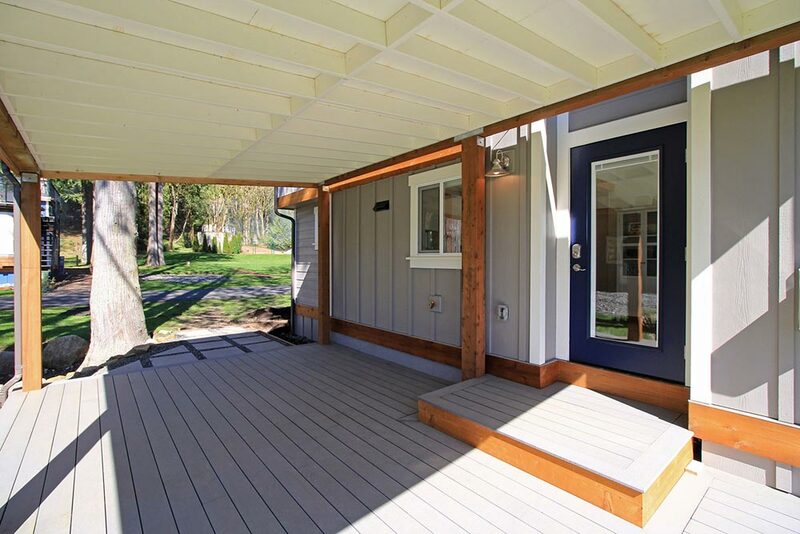 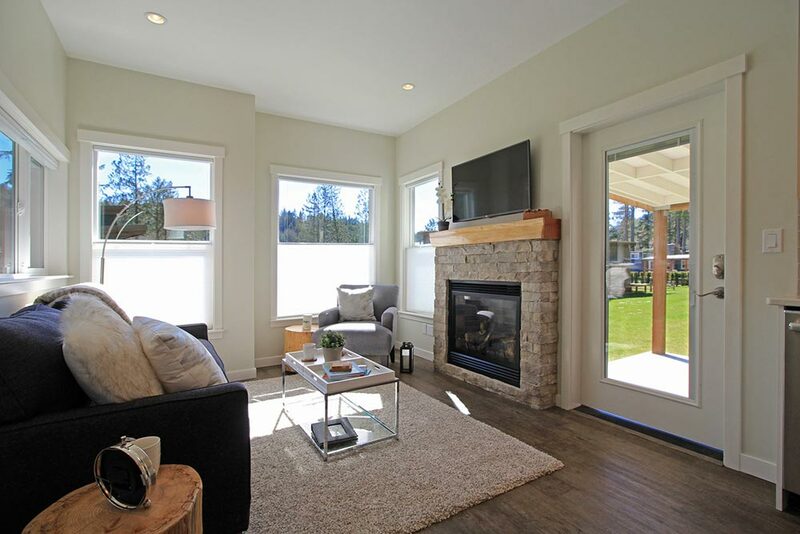 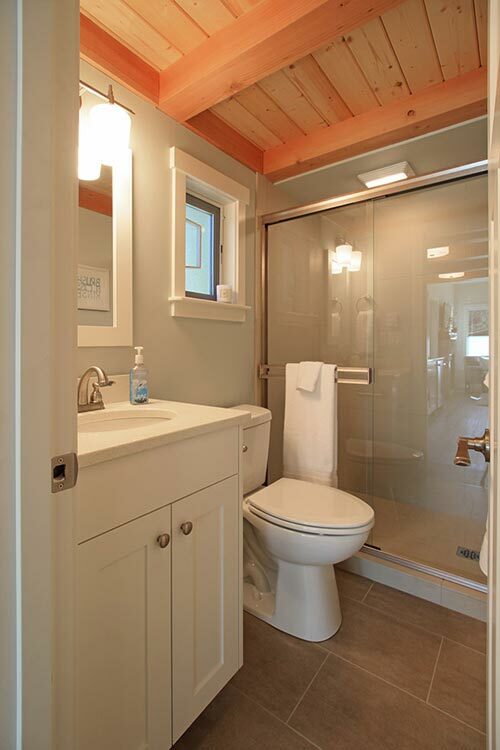 Wildwood Lakefront Cottages also offers the Salish, San Juan, and Whidbey from West Coast Homes and the Wedge and Caboose models from Wheelhaus.